Andrew Brice AM is co-founder and non-executive director of online tourism company Wotif.com, which has provided hundreds of jobs and helped build the Queensland tourism industry. Andrew is considered one of Queensland’s most generous philanthropists and is passionate about providing opportunities to disadvantaged young people. He has donated more than 10 per cent of his net wealth, funding the University of Queensland (UQ) Endowment and UQ’s Young Achievers Program to invest in young people who, without support, would struggle to attend university. 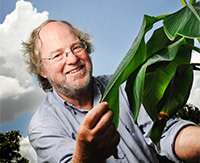 Distinguished Professor James Dale AO FTSE is an entrepreneur, humanitarian and scientist who specialises in plant and medical biotechnology research. James’ work on genetic modification for disease resistance and biofortification helps protect Queensland’s crops, as well as benefiting people in developing countries. His genetically modified super banana has the potential to reduce infant mortality and blindness in children across Africa, while his research attracts world-class scientists and international funding to Queensland. Pat Fennell is a staunch advocate for rural Queensland and a pioneering bush woman. 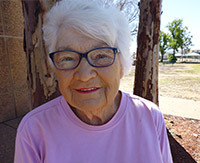 Raised in Charleville, Pat became involved in countless community organisations and committees including the Cattle Council of Australia and the Women’s Council for Rural and Regional Communities. Pat is also an integral advocate for education in rural areas of Queensland, educating her own four children and the Aboriginal children of her station workers. Pat has lobbied to have Aboriginal officers appointed to the local hospital in Mount Isa and campaigned for Rural Women’s GP Health Clinics to create sustainability in the remote health system. The late John (Jack) Gleeson AM KSG was considered a pioneer in the broadcasting industry. He was responsible for bringing commercial television to Townsville and, in the 1980s, launched satellite television across 18 major towns and many smaller populated areas across North Queensland. 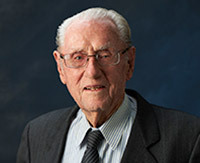 Jack received an Order of Australia in 1985 for his extraordinary service to the radio and television broadcasting industry and, in 2006, was appointed a Papal Knight in the Order of Pope St Gregory the Great. 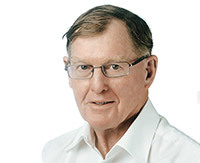 Jack has also made notable contributions across other community sectors including fundraising for aged care facilities and the development of tertiary scholarship programs to assist rural and regional students across Queensland. 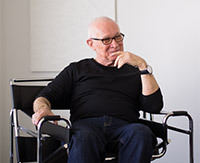 Robert MacPherson is a critically acclaimed artist of international repute, having collections across all state galleries, the National Gallery and many regional and private collections. Robert has had a pervasive influence on successive generations of Australian artists and has celebrated his career over the last four decades in Queensland. As a highly regarded artist, Robert has been a generous benefactor to art museums through his own key works, the works of his artist peers and through his correspondence with other artists. The late Steve Irwin, popularly known as the Crocodile Hunter, was a highly respected conservationist and world-renowned television personality who founded one of Queensland’s most iconic tourist destinations. Steve fostered his passion for wildlife conservation growing up at his parents’ Beerwah Reptile and Fauna Park. Steve took over the park with wife Terri in 1992 and rebranded it Australia Zoo, with a commitment to becoming the best conservation facility in the world. 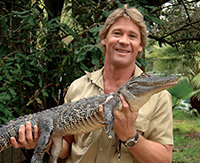 His popular wildlife documentary series, The Crocodile Hunter, allowed Steve to spread his conservation message to audiences around the world. RSL (Queensland Branch) was established in 1916 to support current and ex-serving members of the Australian Defence Force and their families. RSL’s services include free compensation advice for those who have suffered illness or injury; low cost and emergency housing; home and hospital visits to the ill and infirm; and assistance to those suffering financial hardship. RSL also supports significant initiatives for the Australian Defence Force and broader community including physical and psychological rehabilitation through Mates4Mates, medical research and community sponsorships.